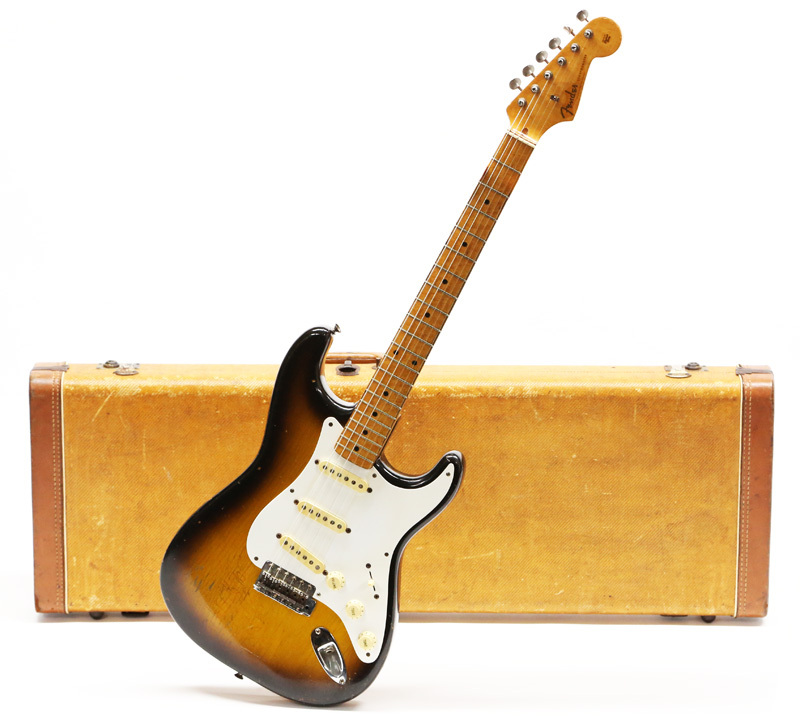 " For your consideration is this vintage 1957 Fender Stratocaster electric guitar. This particular example, serial number 025762, is in excellent 100% all original condition and includes the original tweed hard shell case. Easily one of the most iconic instruments ever crafted, the '57 Strat, along with a very select few, is not only the template for almost everything else that followed, but is without a doubt an archetype for electric guitar design, and moreover, features the sound that shaped modern music. From every single solder joint to every last screw, this extremely attractive example is totally intact and completely original. 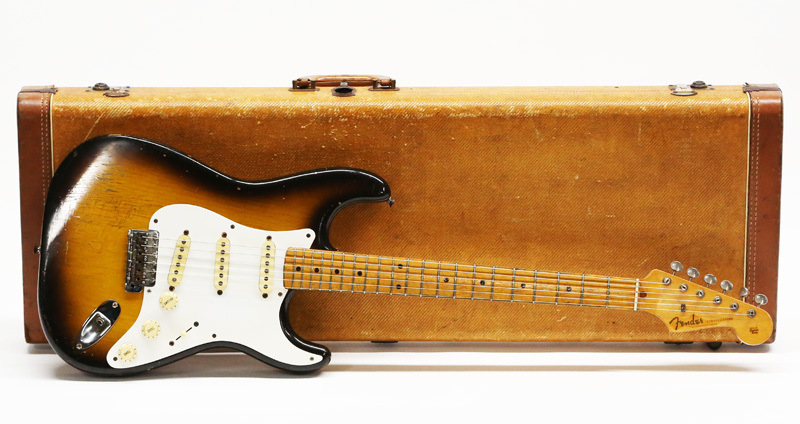 With incredible authentic mojo and plentiful vintage vibe, collectors and players alike will appreciate this superb specimen. Considering the Blue Book value was once determined to be over $40,000.00, this Strat is reasonably priced for a quick sale. Please take time to enjoy all 120+ photos, and remember we proudly ship Worldwide! Weight: 7 lbs. 4 oz."